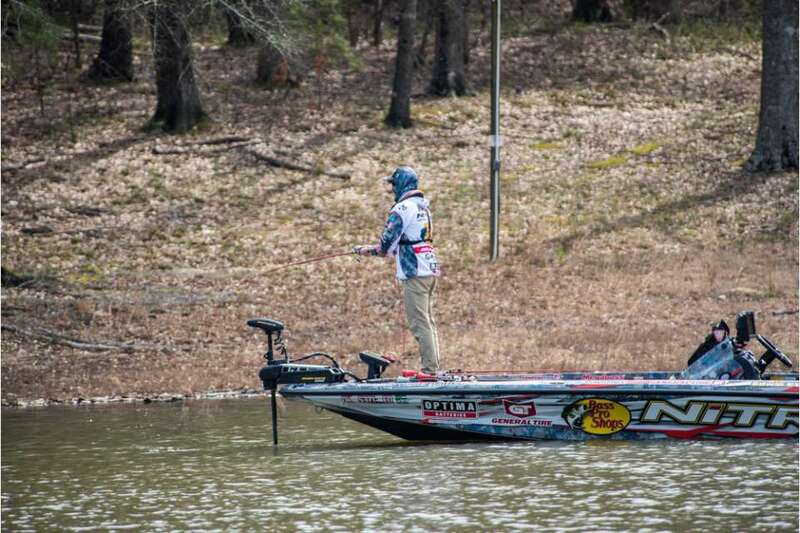 IBASSIN: 2018 Bassmaster Classic on Lake Hartwell Day 2: Mid-Morning Report. 2018 Bassmaster Classic on Lake Hartwell Day 2: Mid-Morning Report. Evers working a typical Grand Lake Pre-spawn pattern. Sometimes you get what you wished for. That is the case for many of the top anglers in the 2018 Bassmaster Classic on Day 2 who prayed for an overcast morning but it doesn’t seem to have helped. They wanted a darker, misty morning to prolong the bite unfortunately, it has hindered the fish catches instead of accelerated it. The deep-water spotted bass have been smaller than yesterday and many of the anglers do not have a 5-bass limit as of 10:45am. One key pattern has emerged over the last day and a half; capitalizing on largemouth moving shallow. Even though Lake Hartwell is spotted bass heaven, big largemouth are critical to winning any spring tournament. Largemouth are making a move toward the back of pockets, coves and flat banks to start the spawning ritual. Christie, Evers, Elam, DeFoe and a few others are fishing grass, rocks, wood but the docks seem to be the best at holding the larger females. Largemouth will migrate to the truly shallow water if the conditions change, and they’re changing. The corners and especially the back corners, closest to the bank are the best. Much of the Top 10 caught their larger bass yesterday after 11am as it became warmer. 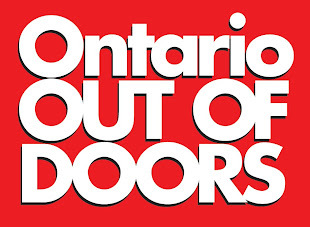 If it continues to warm up, anglers on this pattern will be waiting for them. The vibrating jig, jigs and even spinnerbaits are key baits today and yesterday to the largest bass being caught. 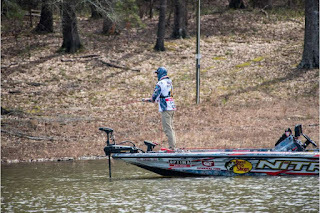 If it gets super sunny, rising the water temperature, it might produce a strong bite that could launch an angler back in the Top 15 into the lead just like what happened to Jordan Lee when he won the 2016 Classic on Lake Conroe.